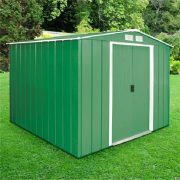 With a nominal width of 8′, the Sapphire 8 is available in two depths and either a green or anthracite grey colour. Features wide sliding double doors. 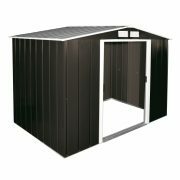 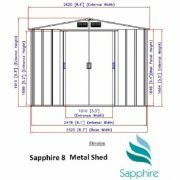 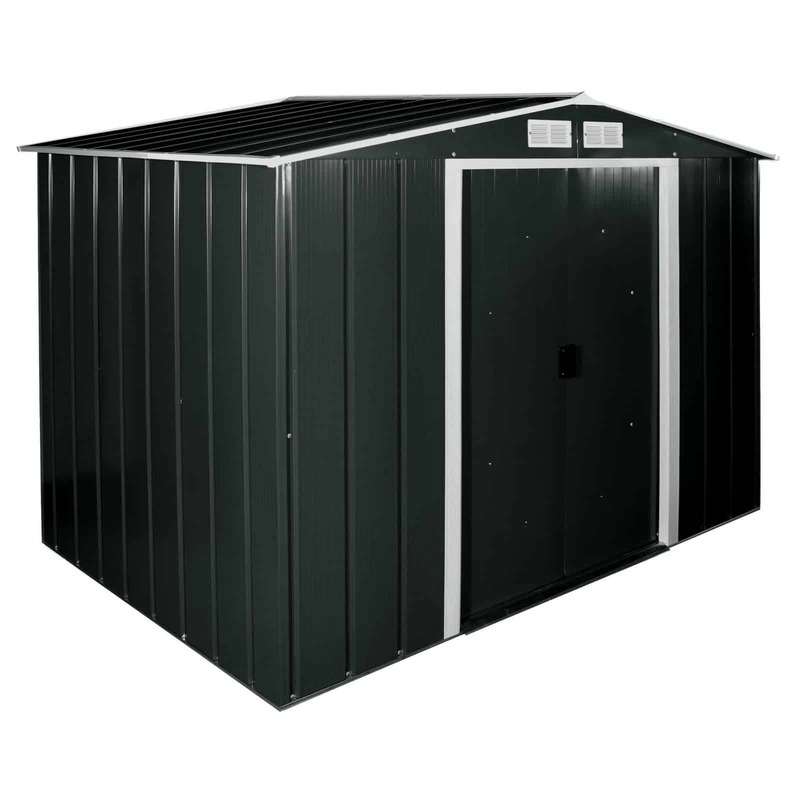 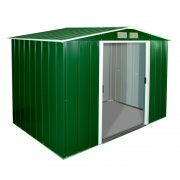 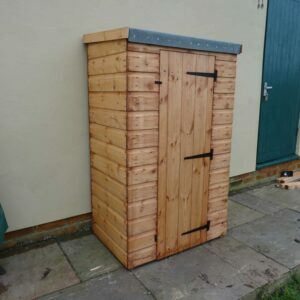 The Sapphire 8 metal shed measures 8’7″ wide at it’s maximum, which is the roof, while having a footprint width of 8’3″.